I’ve just finished another piece for IT Pro in Hong Kong covering the intensifying battle between WhatsApp and the slew of Asian mobile messaging firms in the chasing pack. It’s shaping up to be an exciting 2015 for those in the space as these platform players look to differentiate in an increasingly crowded market, while the telecoms operators struggle to recoup the cash they’re losing from decreased SMS and voice call revenue. Canalys analyst Jessica Kwee was quick to point out the pressure these traditional telecoms players are under. 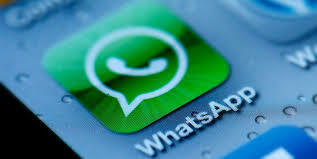 “SMS/texting in the traditional sense has been impacted greatly, especially as people see more value in messaging apps – as in many cases they are considered ‘free’ as they are part of the data plans,” she told me via email. However, there are some opportunities for operators. Frost&Sullivan principal analyst, Naveen Mishra, added that adoption of mobile messaging apps has soared over the past 12-18 months thanks to their added functionality and free price tag. “Increasing smartphone penetration and growing internet adoption is driving this usage. Emerging markets like India, are growing extremely fast, both in terms of adoption and usage,” he told me. As for the various market players, success will come down largely to innovating with new features. “All the OTT application companies are constantly trying to innovate, however the success of the application largely depends on the value a new feature brings in,” he said.